Thanks to the second wave in the dot.com boom, the rental landscape in San Francisco is a rapidly evolving commodity. The latest development that’s stopped us in our tracks? The Jasper, a glamorous (yes, we just used the word glamorous to describe a building!) high rise from Crescent Heights, the real estate team that brought the Nema to mid-market. 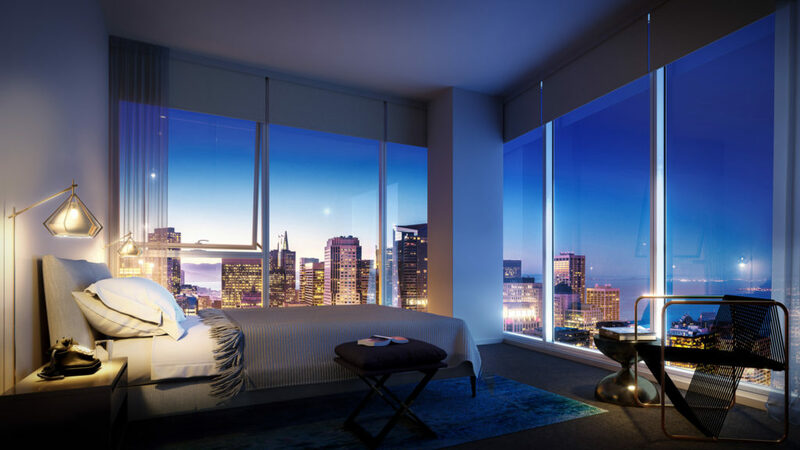 Set to open this fall in Rincon Hill (the area that stretches from Folsom Street to Bryant in SOMA), the Jasper is 40 floors of indulgent rentals — there’s 320 apartments to be exact. 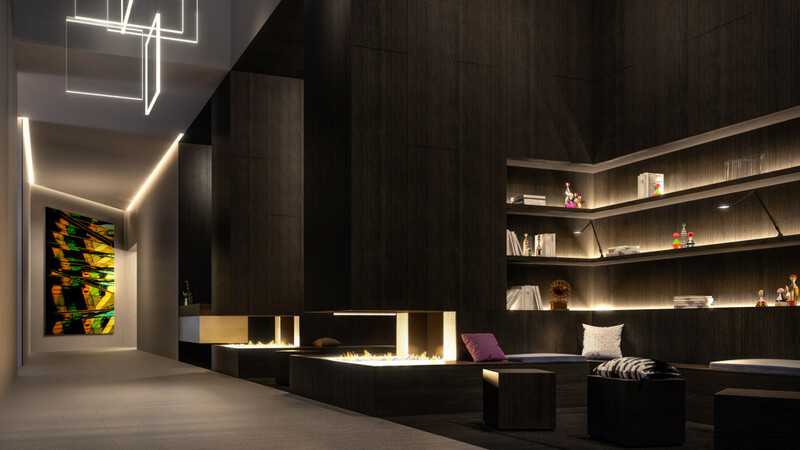 Designed by the renowned architect Stanley Saitowitz, the studio, one-, two-, and three-bedroom apartments are equipped with the latest technologies. No keys are necessary to open the front door, the kitchen is outfitted in the newest stainless steel appliances, and the windows are floor to ceiling glass with unprecedented views of the Bay. There are digital touchscreen message boards for residents to communicate with each other, a special app to manage rent payments, and the city’s fastest wireless Internet service, Gigabit. With Jasper, the Crescent Heights folks are hoping to revolutionize the way San Franciscans look at rentals. 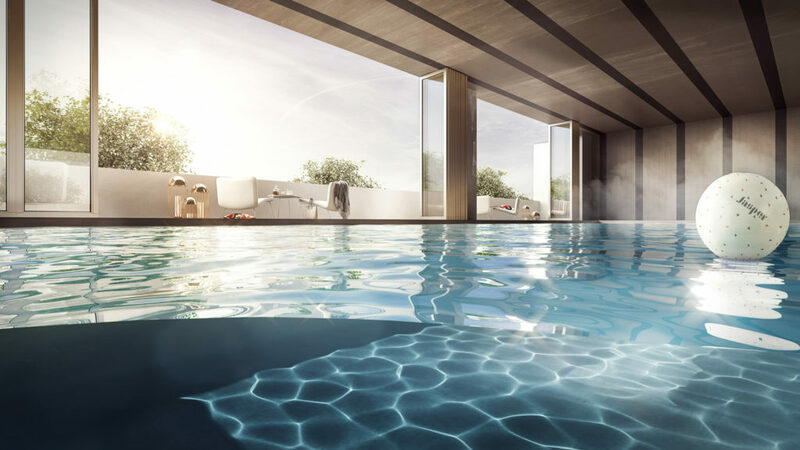 The regional manager Roman Speron explains: “We’re turning the preconceived notion of rental buildings entirely on its head. Our vision is to provide the absolute highest level of service, comfort and accessibility in a fun, vibrant, lively environment – all while never taking ourselves too seriously. As beautiful and meticulously designed as Jasper will be, it will never feel pretentious or stuffy and always feel like “home” for our residents and even their guests.” The entire second floor will be devoted to a “host of thoughtful amenities and services.” There’s a state of the art fitness center designed by exercise guru Jay Wright, an indoor/outdoor heated salt-water pool with adjacent hot tub, a full service business center, and a dark room with a theater, projector screen, and pod-style seating. Of course there’s also 24-hour concierge service, valet parking, in-room spa treatments, a high end art collection, and electric car charging station. It all sounds so wonderfully fabulous that the only question that remains is when can we move in?